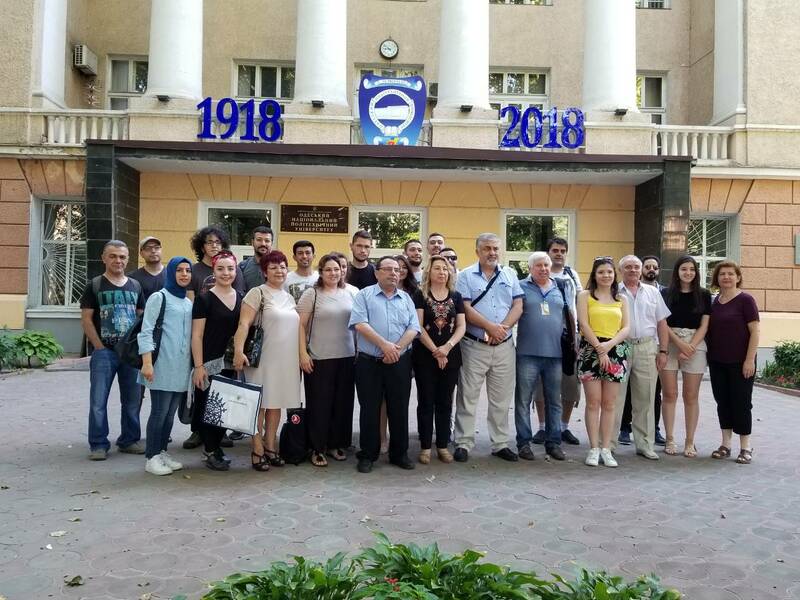 The International Summer Nuclear School organized by the National Polytechnic University (ONPU), the National Atomic Energy Generating Company (NAEK) “Energoatom”, the State Scientific and Technical Center for Nuclear and Radiation Safety (SSTC NRS) and Institute of Nuclear Sciences of Ankara University (Turkey) was held from 13 to 20 July 2018 in Odessa at the Nuclear Power Plant Department of the ONPU and at Zaporizhskaya NPP (ZNPP). The School was attended by lecturers and students from the ONPU NPP department and from leading Turkish higher educational institutions (Ankara Universitesi Institute of Nuclear Sciences, Bitlis Eren Üniversitesi Fen Edebiyat Fakültesi, Karadeniz Teknik Üniversitesi, Osmangazi Üniversitesi, Nükleer Bilimler Enstitüsü Ege Üniversitesi, Hacettepe Üniversitesi, Pamukkale Üniversitesetc). Within the framework of the School, the leading lectures of the ONPU NPP Department delivered lectures on the core disciplines of the specialty “Nuclear Power Engineering” including nuclear reactor physics, nuclear engineering materials, nuclear power reactors, operation and safety of nuclear power plants. The topics of thermal-hydraulic and neutron-physical calculations of nuclear reactors were presented by experts of the SSTC NRS. Participants of the International Nuclear School visited ZNPP and ZNPP Maintenance Training Center in Energodar. Upon successful completion of the school programme participants have been awarded by Certificates of the International Nuclear Summer School.